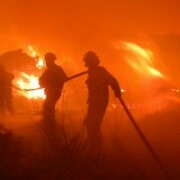 The Independent Municipal and Allied Trade Union (IMATU) is deeply saddened by the deaths of Johannesburg firefighters Michael Letsosa and Dan Zwane. These two firefighters tragically lost their lives while battling a blaze that broke out in a building on Albertina Sisulu Street over the weekend. “IMATU would like to extend its deepest sympathies to the families, friends and colleagues of Michael and Dan. We can confirm that Dan was one of our members and the effects of this loss will be far reaching,” stated IMATU General Secretary, Johan Koen. The most tragic aspect facing our Emergency Management Services (EMS) members at the moment is that loss of life can often be avoided with the correct training, resources and equipment. Since 2008, IMATU has raised serious concerns regarding staff shortages, inadequate equipment and personal protective gear, poor working conditions and the lack of workplace maintenance in the EMS Department, amongst others. IMATU has repeatedly called for meetings with the City of Johannesburg’s Mayoral Committee as well as calling on the Department of Labour to investigate deteriorating fire and ambulance service delivery. Despite raising serious concerns regarding deteriorating equipment, poor management and training, staff shortages and the disregard for safety standards, the City of Johannesburg is yet to meet with IMATU to discuss or adequately address these problems. IMATU representatives have repeatedly highlighted the worsening situation at local labour forums (LLF), management forums and the South African Local Government Bargaining Council (SALGBC) structures. “IMATU acknowledges the often challenging circumstances that EMS workers are expected to operate under. The safety of our EMS personal must be prioritised through the provision of the necessary equipment, resources and adequate training. 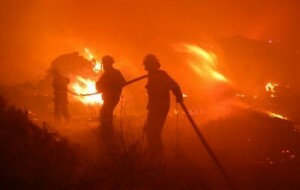 IMATU will be closely monitoring the investigation into the deaths of these firefighters, led by the Department of Labour, South African Police Service (SAPS) and EMS. A fully transparent and comprehensive investigation must be done in order to identify exactly what happened and ensure that EMS employees are not being placed in heightened and unnecessary danger,” concluded Koen.